Ketamine therapy is not just a passing fad in the treatment of depression, suicidal thoughts, PTSD and other mental health issues. Each week continues to bring more studies to support the breakthrough use of this time-honored drug. Ketamine has been in use over 50 years in emergency rooms, operating rooms and the battlefield. It has the powerful ability to relieve pain and in larger doses, induce anesthesia. In very recent years scientists have discovered it has profound neuroregenerative effects on the brain. Chronic trauma, anxiety and depression can change the brain by destroying nerve cells. Ketamine helps form new connections to rebuild and alleviate the symptoms of these mood disorders. While it is easy to find a front-page article or a long list on Google search to support these facts, there is a key component of healing that is often missing in these articles: psychotherapy. It may seem logical to some that psychotherapy should accompany a medication to treat depression. However, many have viewed ketamine as a quick fix, magic drug that will alone reverse suicidal thoughts or depression. Let us think about high blood pressure treatment as a comparison. Yes, taking a pill can reduce the pressure, but losing weight, changing diet and adding exercise may have a more profound effect for many. Ketamine therapy is essentially the same idea. True, some will do great with just the drug and no other changes in their life, but for many adding in the necessary psychotherapy will reveal more substantial results. And, here is the key, the results will last longer with possibly less ketamine needed over time. KAP, or ketamine assisted psychotherapy, is a guided psychotherapy session under a low dose of ketamine which induces a mild trance-like state where the patient can interact with the therapist and gain physiological anti-depressant effects of ketamine. Psychotherapy provided before and after the ketamine treatment may allow for higher dosing to increase physiological change. The patient does not have to interact while under the effects of ketamine. Discussion and interpretation of events under treatment may occur immediately after a treatment and in the following days to weeks. This synergy between psychedelics and psychotherapy is formally studied by many respected groups such as KRIYA (Ketamine Research Institute) link, Ketamine Research Foundation link, and MAPS (Multidisciplinary Association for Psychedelic Studies) link. With MAPS, the drug MDMA is currently used in an FDA approved trial with psychotherapy to treat PTSD. The purpose of the MDMA is to decrease fear and allow the patient to experience emotions and visit the trauma without heightened anxiety. The nature of ketamine is a dissociative medication that causes an out of body experience, and with higher doses can induce hallucinations. Drug companies are actively searching for a new drug that works like ketamine, but without the “side effect” of dissociation. Alternatively, many argue the journey under ketamine is precisely what helps one heal from past trauma and ongoing anxiety or depression. There are three ways to view the effects of ketamine according to Raquel Bennett, a psychologist and founder of KRIYA Institute in California. Ketamine is a purely medical treatment where we give the drug to patients and try to eliminate annoying dissociation by giving counteracting drugs. It is a “shamanic” approach and what the patient experiences under treatment is important to healing. Combining both above, ketamine is correcting neurochemical pathways while a mental health professional helps guide the patient through the experience, gaining insight. Preparation: Any ketamine treatment program should include a time for education. The patient learns about the method of delivery, how to prepare themselves, what to expect, what to avoid, time for questions and answers and how to take care of themselves afterward. A mental health professional adds to this by ensuring a trusting relationship, setting goals, and teaching relaxation, breathing or other techniques to manage anxiety. 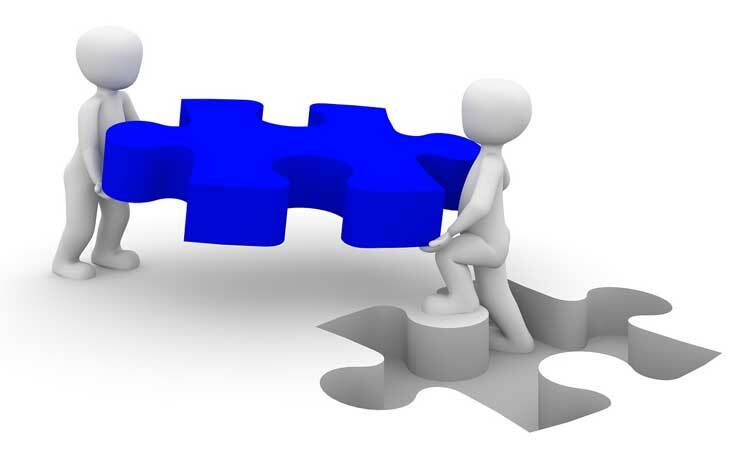 Integration: The healing process continues beyond the day of treatment. Gold and Sienknecht also explain the integration process that follows the psychedelic experience will allow one to explain their experience, collect insights and implement new changes. The therapist can help with this process and maintain positive ground. One small study by Dr. Wilkinson, et al, out of Yale School of Medicine explored the strategy of combining cognitive behavioral therapy (CBT) with ketamine treatments to extend the anti-depressant effects. They found a strong connection between ongoing CBT and depression relief. Given ketamine causes new connections to form between neurons in the brain, Dr. Wilkinson states “It may be possible to exploit this critical period of induced plasticity to initiate attempts at modifying cognitions and behaviors that require synaptic plasticity.” In other words, CBT and ketamine working together boosts relief. A second benefit of long-term effects discussed in this Yale study, is the possibility to limit ketamine exposure over time when combined with psychotherapy. This makes sense. If one feels better with combined therapy and ketamine, the need for ketamine boosters may decrease in frequency over time. This is important considering long term studies are not available concerning the effects of repeated ketamine exposure over years in an individual. Dr. Wilkinson refers to mixed studies about long term cognitive effects. We just don’t have the answers yet. Ketamine plays one part in the whole treatment plan for depression, PTSD, suicidal thoughts OCD, etc. It has a powerful physiological effect to relieve depression. Now, we also need to focus on the psychological component by incorporating a trained mental health professional in the treatment plan. A therapist will prepare the individual, manage challenges during ketamine therapy, and integrate positive changes into daily life. Taking advantage of this synergy may allow greater success and possibly less ketamine overall. Disclaimer: This article represents my informed opinion and/or the opinion of others. This does not constitute medical advice and should not be relied upon to make decisions about medical care. Please consult your physician for questions regarding your specific conditions and possible treatments. Wilkinson, S T, Wright DS, et al. Cognitive Behavior Therapy May Sustain Antidepressant Effects of Intravenous Ketamine in Treatment-Resistant Depression. Psychother Psychosom 2017; 86:162-167. This entry was posted in Blog, Psychotherapy and tagged Ketamine and Psychotherapy, Ketamine Side Effects, Ketamine Treatment Centers Illinois, Ketamine Treatment Houston. Bookmark the permalink.